We hope to create a comfortable and friendly teaching and learning environment for anyone interested in Qi Gong exercise and practice to maintain good health, improve health and prevent illness. We aim to inspire people to live a happy and healthy life by cultivating positive energy through Qi Gong exercise and practice. Xie Ling studied Qi Gong and Chinese Medicine under Professor Zhang Guangde at Beijing University of Physical Education, Professor Lin Huo Sheng of Shanghai Chinese Medicine University, and Qi Gong Master Li Jun Feng. Over the course of her career, Xie Ling has worked with people of all ages from 10 to 80 with various physical capacities. Her passion is to help people improve their health and well-being through the holistic approach of Qi Gong. Xie Ling is a former professional Chinese gymnast, faculty member of physical education of Sichuan University, and worked as the gymnastics coach in China and the U.S. 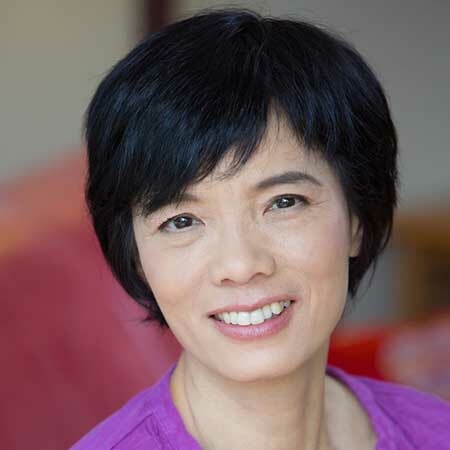 In addition to Qi Gong teaching and practicing Xie Ling enjoys hiking, gardening, traveling, and spending time with family and friends. Matheo is a UX designer and Qi Gong practitioner. His work focuses on user experience and user interface design for web applications. With the help of Qi Gong he is able to keep a clear mind when working on mentally taxing projects. His diverse background includes solving business challenges with visual communications. When he is not working, Matheo loves hiking, being outdoors, practicing martial arts and spending time reading about the latest trends in technology and design. Owen is a dedicated Qi Gong, Tai Chi, and Yoga practitioner. He teaches outdoor education and leads expeditions across the U.S. He’s worked with people of all ages to spread the practice of nature awareness, stewardship and wilderness skills. Owen is a native of Maine. He is currently the Aquatics Director for Nashoba Paddler in Groton, MA. He enjoys, hiking, grabbing a beer from a local brewery, and traveling the country.